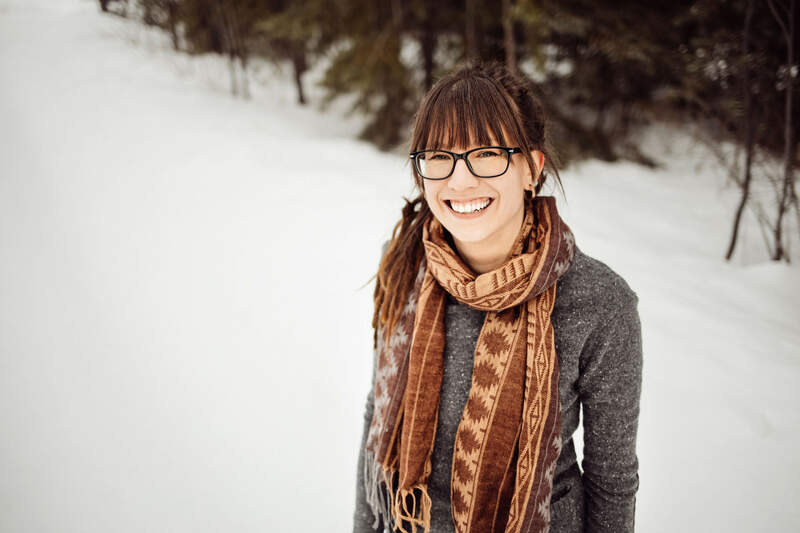 Some people feel most comfortable getting treatments of any kind at a doctor’s office, and then some people like to experiment, to create something for themselves and save money in the process. For the later ones, I have a guide on an at-home face peel that is more effective than any exfoliant. Namely, the main ingredient of this face peel is Glycolic Acid. 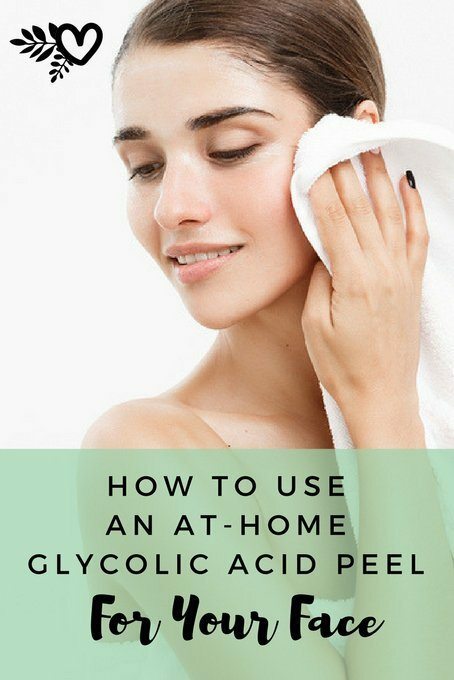 Before going into the nitty-gritty process of how to prepare the facial peel yourself, here is how Glycolic Acid works on your skin and the benefits of using it regularly. A glycolic-acid peel disrupts the “glue” between skin cells in the outer layer of skin, the epidermis. When the epidermal cells become “unglued,” that allows the dead skin cells to exfoliate or slough off, making room for regrowth of new, fresh skin. Clinically, this correlates to brighter, softer, smoother skin. Superficial pigmentation issues like blotchy discolorations of the skin can also be reduced with regular glycolic-acid peels. You see, our skin consists of three layers – outer layer or epidermis, the protective layer of your skin, middle one dermis – the thickest of the three layers of skin, accounting for 90 percent of the skin’s thickness, and the inner layer – hypodermis. Collagen is a network of proteins that holds the dermis together and gives your skin its durability and strength. This highly essential protein is produced in the dermis. The increased collagen production and restructuring of the dermis from using glycolic acid can lead to an approximate 25 percent increase in skin thickness. This increased skin thickness helps soften fine lines and wrinkles. 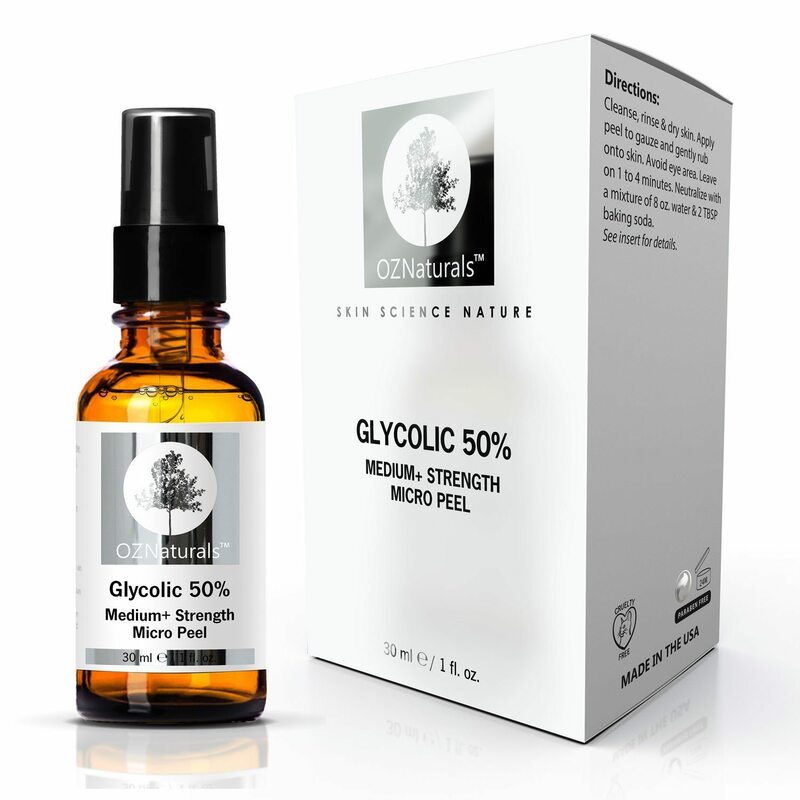 Glycolic acids play a significant role in anti-aging and reversing sun damage as well. However, the results you get heavily depend on the concentration of the glycolic acid used and not all glycolic acid peel concoctions are the same. No worries though, here I’ll show you how to make a high-quality, effective at-home facial peel. Glycolic acid peels can help to shrink the appearance of pores. Pores appear enlarged when they are clogged with dirt and bacteria, resulting in blackheads. During a glycolic acid peel, chemicals seep into the epidermis and remove the dead skin cells on the surface. The dirt and bacteria that can clog pores are loosened, which makes the pores look smaller. Glycolic acid peels are often used to treat acne and acne scars. By delivering a stronger dose of glycolic acid than many over-the-counter acne treatments contain. Glycolic acid targets problem areas and removes layers of breakout-causing dirt, bacteria and dead skin cells from your face and neck. The result is a brighter, more even complexion. Extended exposure to the sun can cause discoloration and dark spots on the surface of your skin. 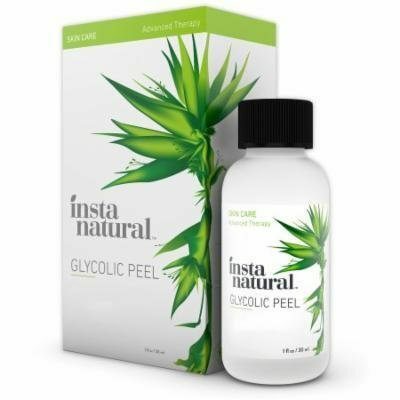 Glycolic acid peels expose a fresh layer of skin and lessen the appearance of sun-related spots. It stimulates the rebuilding of skin cells, and this rapid regrowth results in a brighter, more even complexion. Many look to glycolic peels as a way to reduce wrinkles and other symptoms of aging. Glycolic acid works to strengthen deep layers of your skin, which helps to soften fine lines and gives your face a fresh, more plump appearance. To maintain these effects, it may be necessary to repeat the glycolic acid peel every three to four months. Lastly, I would like to point out that there are two types of Glycolic Acid you can use for your peels, buffered and unbuffered. Buffering can increase or decrease a pH level. Normally, buffering increases the pH to make the acid weaker or not as strong an acid. Buffered and non-buffered products can carry the same percentage of an active ingredient, but the strength of the acid is changed by the buffering agent. For example, a particular brand of 40% buffered glycolic acid might have an effective pH of 3.0. That’s been chemically altered to be higher (less strong) than its natural un-buffered pH of 2.5. This makes it less active. This can also happen the other way where the buffer can make the acid more active to give it more action. Buffered peels are generally sold for safety reasons because unbuffered Glycolic Acid might not be as safe of a treatment to do at home. 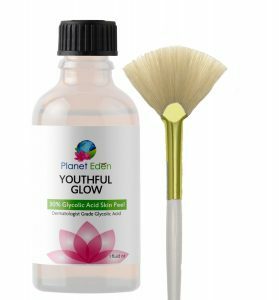 They are generally stronger than buffered acids and may yield faster results, but are more likely to cause redness, irritation and visible skin flaking or peeling. Contrary to popular belief, buffered acids are no less effective; in fact, with buffered acids, there is less discomfort and redness – and shedding takes place less visibly. Buffering provides a time-release quality to the product. This prolonged effectiveness is thought to give better long-term improvements. If you get a peeling treatment in a clinical setting, the dermatologist will use a glycolic-acid peel that has 40% to 50% strength. 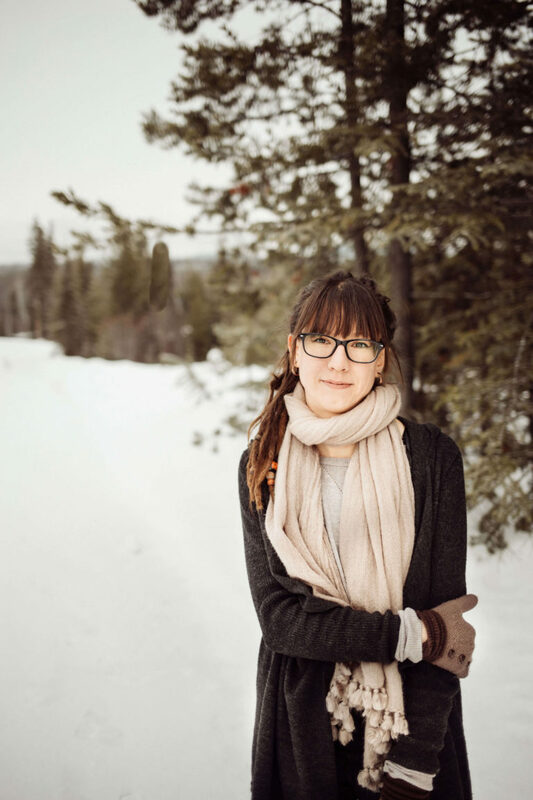 For at-home use, it is best to start with a 20 – 30% solution of glycolic acid with a pH of 2.8-3.0 until you know how your skin is going to react. Products with 10 percent or less glycolic acid are not worth your money. Look for products that include full instructions, pH prep for your skin, a neutralizer and an acid reducer so that you have a safer, gentler peel. Lastly, don’t try to save money and get the cheapest products out there. 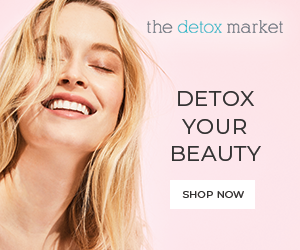 You are dealing with the health of your skin and whatever you choose should be high-quality, certified/registered for 99 percent purity, and list glycolic percentages and pH levels. If you were getting this treatment at a doctor’s office, he or she would use a glycolic-acid peel that is 40 to 50% glycolic acid. Since you are at home, you need a solution of 20- 30% with a pH of 2.8-3.0 until you know how your skin is going to react. A friendly word of advice from me is to get a product that comes from a trusted brand and includes full instructions, a pH prep for your skin, a neutralizer and an acid reducer so that you have a safer, gentler peel. Start by testing your skin by applying a small spot on your forearm before applying the solution to your entire face to ensure that you have no allergic reaction to the peel. Clean your skin with a gentle facial scrub 24 hours before the peeling treatment because you don’t want your skin additionally irritated. Apply to less sensitive areas first, such as the forehead, chin, and cheeks, to ensure that your skin won’t be damaged by the acid. If those spots react well to the Glycolic Acid, then you can safely apply it to the nose, lower eyelids, and neck. Lastly, don’t depend on the clock only, watch the changes of your skin as an indicator as well. 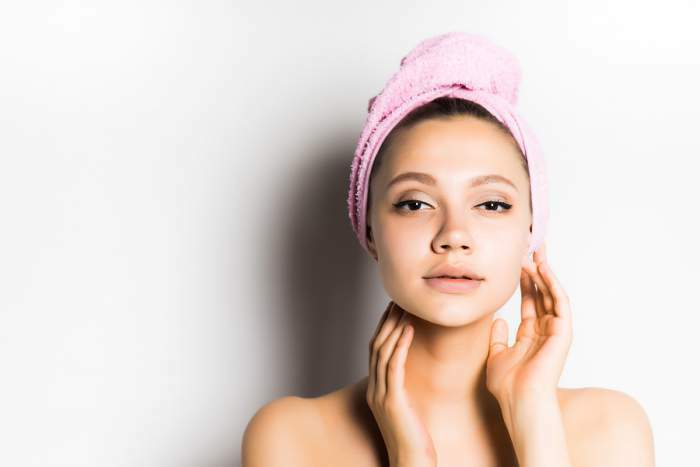 When your skin is turning pink, it is time to neutralize the acid with a cotton ball soaked in the neutralizing solution, starting with the most sensitive areas first. 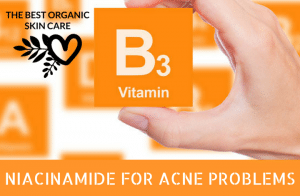 Now that you know what to look for in a Glycolic-Acid product and how to use it at home, I would like to give you few recommendations of 3 of the most popular Glycolic Acid Products that will do wonders of your skin. This peel is enriched with vitamin C and hyaluronic acid which are a great combination to minimize your pores and diminish your scarring while exfoliating deep into the surface of the skin. 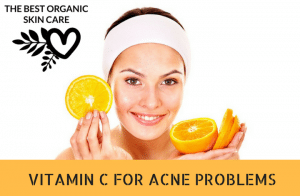 Your breakouts will be significantly reduced as well, and due to its rich vitamin C content, you can reduce the appearance of aging within the first few uses. 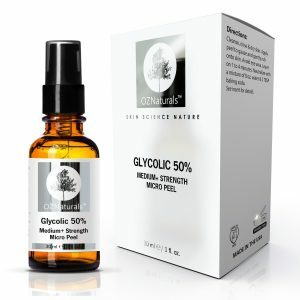 The OZNaturals glycolic acid facial peel is an anti-aging chemical face peel that smoothes out fine lines and fades dark spots to obtain a healthy, youthful glow. However, its effectiveness doesn’t stop there. It also helps clear blackheads & blocked pores to stop the breakouts from coming to the surface. The glycolic acid peel by Planet Eden is ideal for you if you are facing with acne, melasma, wrinkles, fine lines, sun damage, keratosis pilaris, age spots, melasma, uneven skin tone, dry, dull skin, freckles, rosacea, hyperpigmentation, and old and new scars. When you apply it to your skin, it works to remove dead skin cells and leaves the skin glowing and radiant from the first use (depending on how damaged your skin already is). There are more strengths of this facial peel. However, if you are doing this for the first time, I encourage you to try 30%. 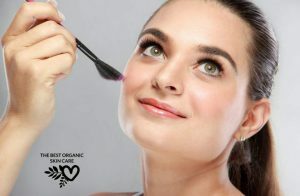 You will get your skin used to the effect, and you will avoid potential permanent damage from the risks. If you are more experienced or getting a treatment in your doctor’s office, then you can choose a stronger solution. I hope this information is enough for you to decide to get an in-home facial peel. If you’ve already done this and have some additional advice, please help by sharing your experience in the comment section below. Do you advise on diy peels? I’ve seen a few online but I don’t know if I should try them or not. Hi Jessi, I actually didn’t know you could make your own peels! I just did some research, and I have to say I am intrigued. It looks like you can simply apply sugar cane with some other ingredients onto your face and leave it on like a mask, that sounds so simple! The one thing I wonder is how much of a concentration of glycolic acid would you get from just applying sugar cane to your skin? I would be curious to find that out (I did a bit of digging, but haven’t found any definitive answers yet).